My family and I are spending more and more quality time outdoors. We enjoy hiking, fishing, canoeing and exploring all that the Outaouais region has to offer. Most of the time you can find us in Gatineau Park. It is almost in our backyard. Exploring the outdoors and being outside for hours on end, often in dead cell phone zones, requires preparation in advance. 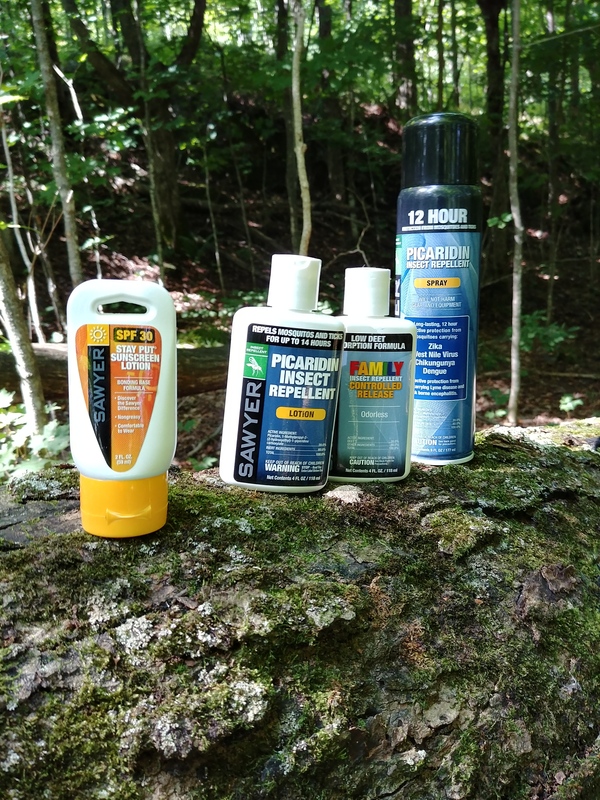 This is a round-up post of my favorite Sawyer Products that I take with me and use whenever I am outside exploring. They have the essentials that you need to survive, enjoy and benefit from all that nature has to offer. Most people bring a water bottle with them when hiking or going on extended trips outdoors. 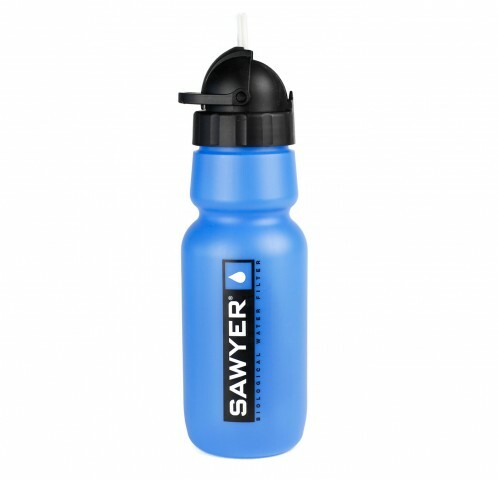 My new favorite is the Sawyer Personal Water Filtration Bottle. The Personal Water Filtration Bottle is BPA FREE and can deliver clean water as fast as you can drink it. Use the included filter with the bottle, on a hydration pack, or as an ultra light filter option. The PointONE filter on the water bottle removes 99.99999% of all bacteria, such as salmonella, cholera, leptospirosis, and E.coli; removes 99.9999% of all protozoa, such as giardia and cryptosporidium. It is also perfect for the office. Turn tap water into better water and save from buying bottled water! In my pack I also always carry with me the Sawyer Mini Water Filtration System. It is always better to be prepared and have what you need with you in case of an emergency. 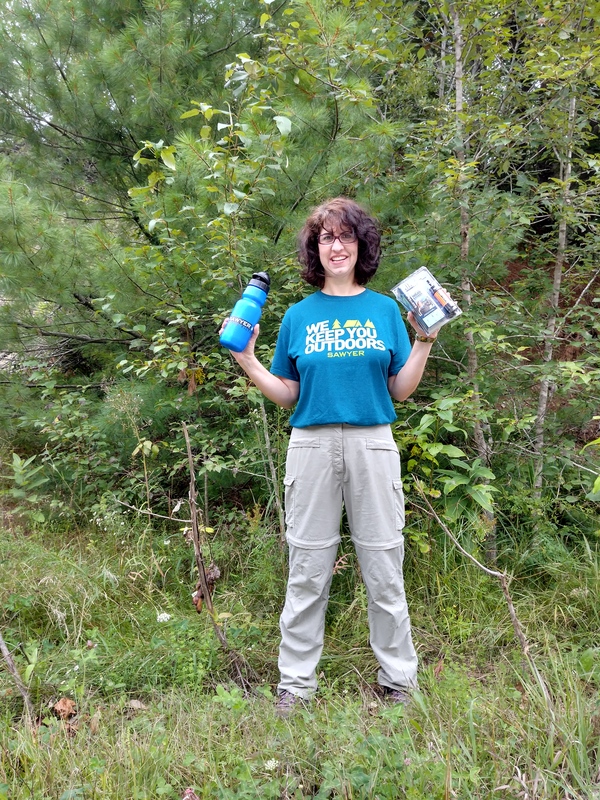 My husband and I like to do a lot of off trail hiking or bushcraft and while we carry a GPS with us, and are prudent, it is better to be safe than sorry. Having the Mini Water Filtration system means that we can have clean water wherever we are. The Sawyer MINI Water Filter is rated to 0.1 micron absolute, weighs only 2 ounces, and filters up to 100,000 gallons! This award winning system is reliable and easy to use. The MINI can be attached to the included collapsible drinking pouch, inline on a hydration pack, on a standard soda bottle, or simply use the included drinking straw to drink directly from the water source. I don’t think that I have ever met anyone that likes mosquitos. They are quite annoying and when hiking in the woods on a hot humid day, they can be relentless. Insect repellent is a necessity in the woods. There are 3 Sawyer products that I carry with me at all times. Two are Picaridin based formulas and the other is a Deet based formula. 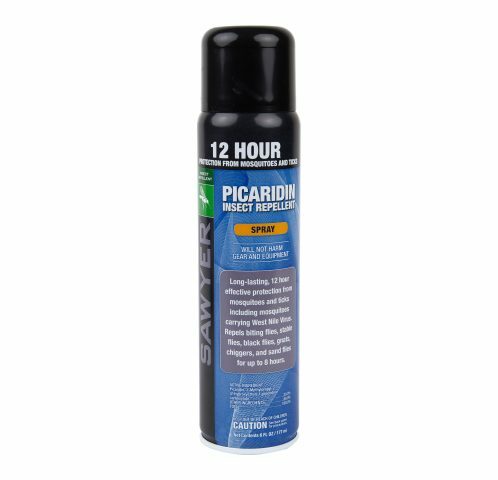 Sawyer “Fisherman’s Formula” Picaridin Insect Repellent is gear safe and effective against mosquitoes, ticks, and flies. The Sawyer 20% Picaridin insect repellent is safe for use during pregnancy and on kids as young as six months of age. Consumer Reports recently included Sawyer’s Picaridin in their summer review on safer insect repellents that are effective against the mosquito that carries the Zika Virus. The Sawyer Premium Controlled Release Insect Repellent significantly reduces the rate of DEET absorption by 67% per application, and extends the duration of its effectiveness. 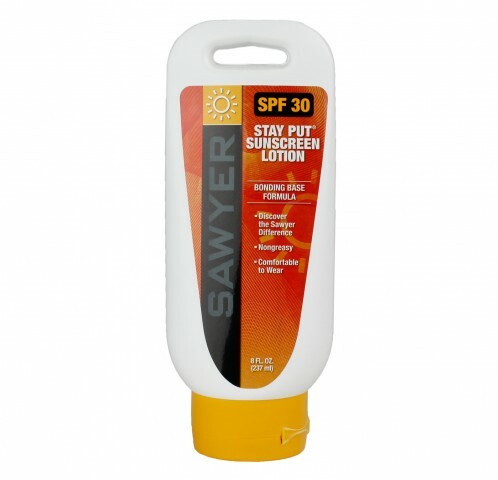 This 20% DEET lotion is Sawyer’s family friendly formula which controls the evaporation of DEET, allowing it to protect you up to 11 hours, in the backcountry or in the backyard. And it works really well! Of course the other protection that I think of when outdoors is sun protection. Sawyer makes a great sunscreen called the Stay-Put SPF 30 Sunscreen. The Sawyer Stay-Put® sunscreens use a unique “Breathable Matrix” formula that gives you the best and most comfortable protection you have ever experienced. While most sunscreens hold the lotions in the top two layers of skin, Sawyer’s sunscreen “bonds” with the sun ray absorbing agents deeper in the skin, getting better protection for even longer, with one application. Thanks Sawyer for keeping me outdoors!